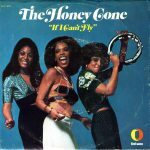 The post Honey Cone – 1971 – Sweet Replies appeared first on Funk My Soul. The second album by Honey Cone and the one that really broke them out of the box! The record’s got a groove that gets going right from the start, a sense of upbeat, soulful energy that really shows why the Honey Cone approach was so different than most of the girl groups who came before them – a groovier, more righteous style that shows that the ladies are very much in charge – and able to send things over the top with their unified energy! Production is great – very rumbling and bold, which further helps the groove including the huge hit “Want Ads” – a pre-disco cut that pointed the way towards future female soul groups of the mid 70s. Edna Wright, Carolyn Willis, and Shellie Clark comprised the vocal trio Honey Cone, which only stayed together for four years but was still one of the best female soul groups of the early ’70s. Although Honey Cone (which lead singer Wrightformed in 1969) was based in Los Angeles, their recordings were Northern-style soul, specifically, Detroit soul. Martha & the Vandellas and the Marvelettes – two of the female vocal groups that epitomized Motown Records‘ sound in the ’60s — were among Honey Cone’s main influences, and the group (which favored a blend of sweetness and grit) worked closely with three producer/songwriters who used to work at Motown: Brian Holland, Lamont Dozier, and Eddie Holland. However, Honey Cone’s members had been in the music industry before they joined forces with the famous Holland/Dozier/Holland team. Wright, Clark, and Willis had only been together a few months when, in 1969, the group caught the attention of Eddie Holland (who came up with the name Honey Cone). 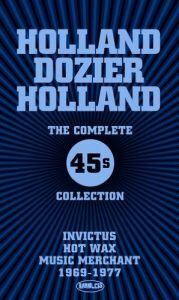 The prolific Holland/DozierHolland team (which wrote countless mega-hits for Motown artists) had recently left Motown and started their own Detroit-based soul label Hot Wax/Invictus, and Honey Cone became the company’s first signing. Honey Cone’s first release, a 1969 single titled “While You’re Out Looking for Sugar” was also Hot Wax’s first release. The very Motown-sounding tune was not a major hit; it reached number 26 on Billboard’s R&B singles chart and number 62 on the magazine’s pop singles chart. But for a small upstart label, that single was a decent start. 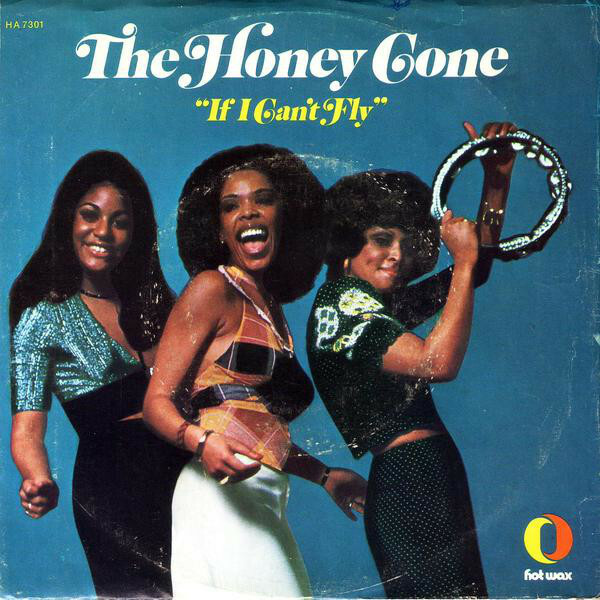 Honey Cone’s next single, “Girls, It Ain’t Easy” was equally Motown-sounding and did become a major hit, reaching number eight on Billboard’s R&B singles chart. After that, Honey Cone enjoyed their biggest hits of all. Released in late 1970, the infectious “Want Ads” got off to a slow start and the song had been out four months before it even charted in either Billboard or Cash Box (Billboard’s main competitor at the time). But when “Wants Ads” finally took off, it really took off and soared to number one on Billboard’s R&B and pop singles charts. 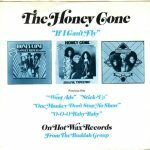 In 1971, Honey Cone had another number one R&B hit with “Stick Up“, which was also a number 11 pop hit. And a few more major hits followed in 1972, including the ballad “The Day I Found Myself” and the Latin-influenced “One Monkey Don’t Stop No Show” (a number five R&B single and a number 15 pop hit). 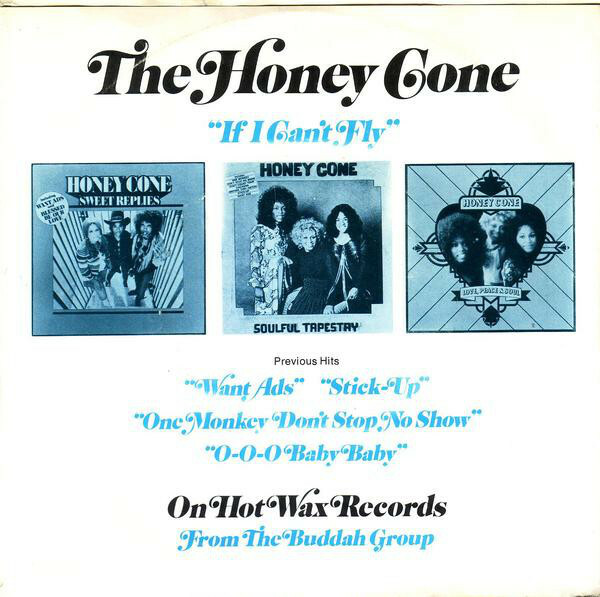 But as big as Honey Cone was from 1969-1972, it didn’t fare nearly as well in 1973; none of the three Honey Cone singles that Hot Wax put out in 1973 (“If I Can’t Fly“,”The Truth Will Come Out” and “Ace in the Hole“) were big hits. Sadly, Hot Wax/Invictus found itself experiencing a serious cash flow problem in 1973, despite having put out big sellers by Honey Cone as well as Freda Payne, 100 Proof Aged in Soul, Laura Lee, and the Chairmen of the Board. The problem wasn’t that Hot Wax/Invictus’ releases lacked commercial appeal; the problem, allegedly, was that the company was not getting paid by its independent distributors. In 1973, Honey Cone broke up, and Hot Wax/Invictus went out of business the following year. 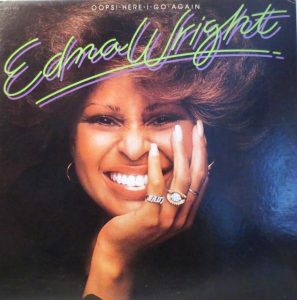 Wright went on to record by herself, providing the solo LP Oops! Here I Go Again for RCA in 1976. All five of the LPs that Honey Cone recorded for Hot Wax — Honey Cone in 1969, Take Me With You in 1970, Sweet Replies and Soul Tapestry in 1971, and Love, Peace & Soul in 1972 – went out of print when the label folded. However, all of Honey Cone’s major hits are included on a 14-song Greatest Hits CD that Fantasy assembled in 1990. And the comprehensive Soulful Sugar, which Castle put out in 2001, boasts no less than 45 tracks.